An hour before this, Georgian Bay was pretty much flat. Wasaga Beach surfer Josh Madryga told me, with confidence, that the waves were coming and that he wasn’t going to miss it. As we stood on the shore, you could see the swells building and rolling in with nice clean lines, even as daylight quickly started to fade. The shoreline had been packed with fishermen but as the Northwest wind picked up, the fishermen reeled in their lines and focused on cheering on Madryga. Rain clouds? Snow clouds? Surf clouds? Apparently, yes. 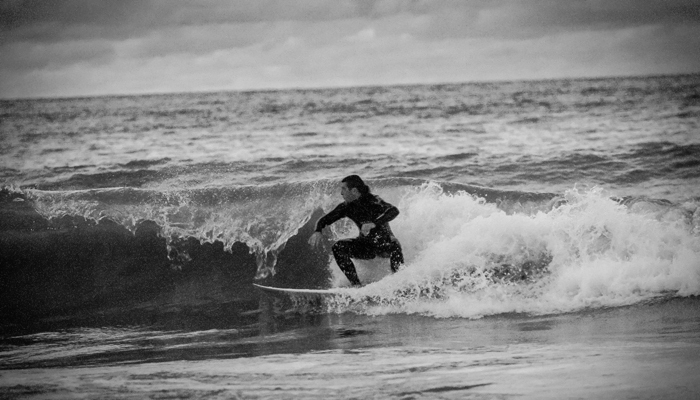 The darker it got, the bigger the waves got. 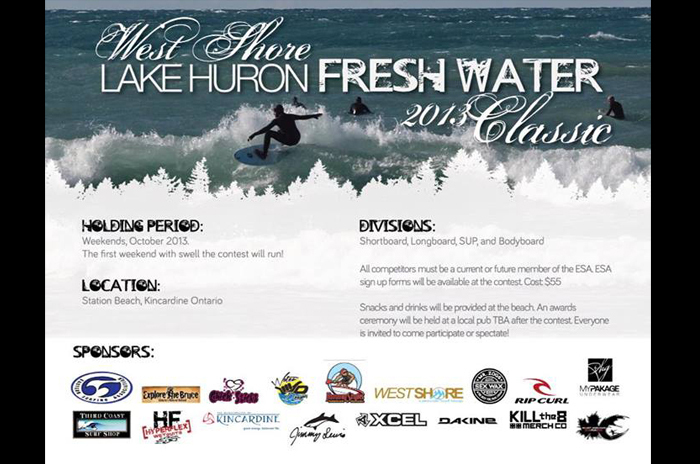 The swells were expected to peak around 1 a.m.
Madryga and other Great Lakes surfers are warming up for the region’s first big surfing competition: The 2013 West Short Lake Huron Fresh Water Classic. The competition will run the first Saturday or Sunday in October with good surf, making October 12 and 13th the next holding period for the decision. To learn more about the comp or to follow along with the decision about the final comp date, visit them on Facebook.